Broccoli is a wonderful cruciferous vegetable. Maybe as a child, you had to pretend they were miniature trees so you would eat them. You can still pretend if you want to, just make sure you start eating more of this healthful vegetable. Here is why. Broccoli is a mega-source of fantastic nutrients like flavonoids, folates, antioxidants, beta-carotene, selenium, vitamin C, vitamin A, potassium, and amino acids, just to name a few. Plus, it is low-cal and fiber-filled, meaning you can let it fill you up without filling out your waistline. Cancer is a horrible disease that comes in many types and affects millions. Reduce your chances of developing cancer, particularly breast, uterine, lung, colon, and liver cancer by eating more broccoli. Thanks to the healthy cocktail of nutrients within broccoli, it removes free radicals as well as other toxins from your body. It helps purify your blood and keep you healthy inside and out, particularly with skin diseases. Taking care of your skin with the right skincare regimen is important for looking your best, but to truly make your skin amazing, you need to start from the inside. The assortment of naturally-occurring vitamins in broccoli helps you reveal more radiance in both your skin and hair. It also has a special phytonutrient that has been shown to reverse the adverse affects of sun exposure. This fibrous vegetable can help you out if you have any stomach problems. It regulates your bowel movements to keep things moving along. It also helps your body absorb nutrients and calm inflammation in your stomach. All of the nutrients in broccoli are outstanding agents of health. Eating more broccoli means you will be more resistant to illness and infection. 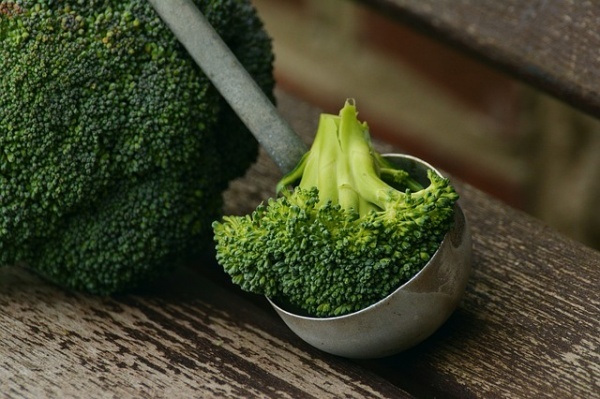 With magnesium, zinc, and phosphorous, broccoli is outstanding for keeping teeth and bones strong and healthy. It is a great dairy-free source of calcium, so if you do not eat dairy in your diet, be sure to eat more broccoli. Enjoy more broccoli in your diet. Try it raw and dipped into hummus. Toss it into your salad. To get the best benefits out of broccoli, steam it, increasing the cholesterol-lowering properties it possesses.